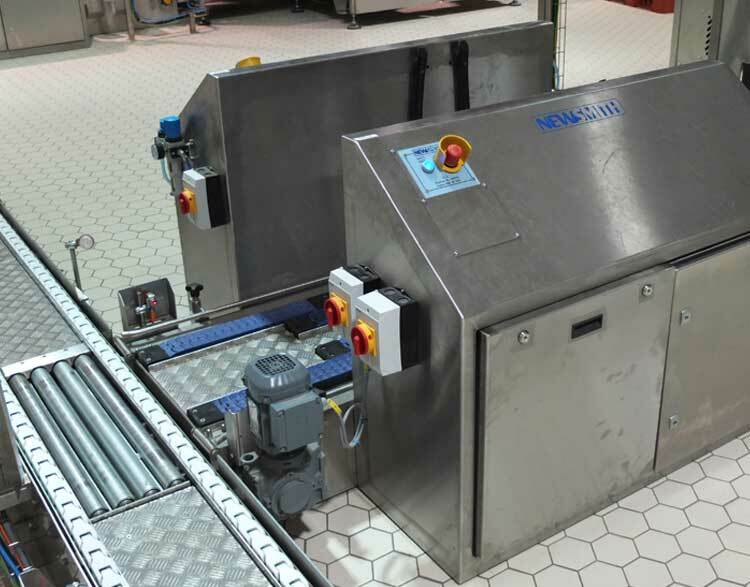 The Newsmith basket stacker can be supplied as a stand-alone unit or integrated within an automated basket handling system. 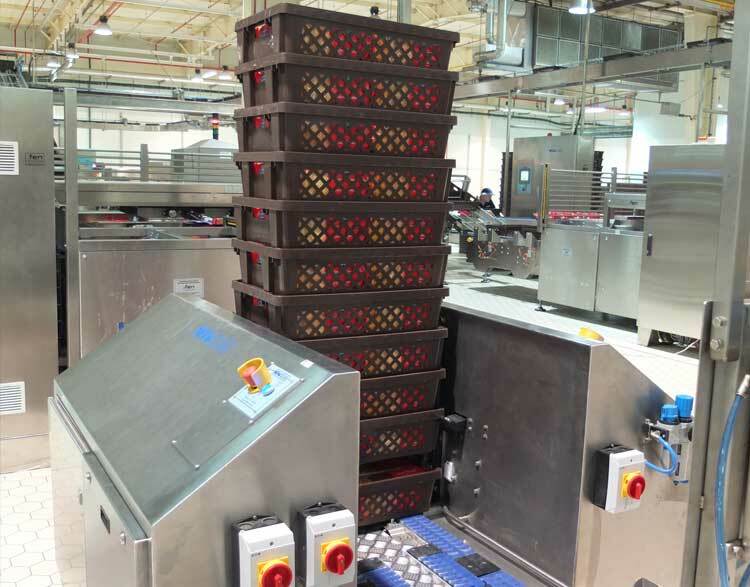 The system automates the stacking of baskets or crates, reducing manpower at the end of production lines. Category: Automated Handling. Tag: basket stacker. 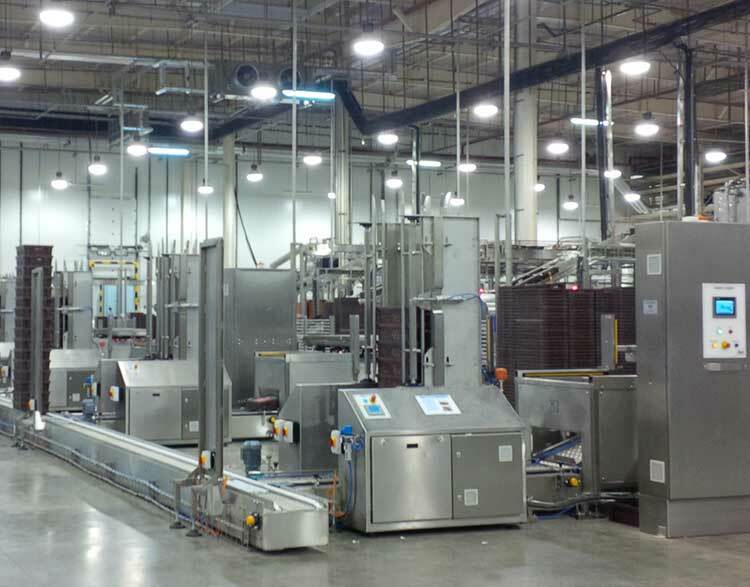 As standard, the stacker is manufactured from stainless steel and is designed around the customer’s specification on basket size and throughput rates. The unit is supplied with hygiene, maintenance and safety in mind incorporating integral pneumatic and electric panels as part of the main frame. Controlled from an HMI, variables such as stack height, infeed conveyor speed and stack transfer speed can all be adjusted with ease.